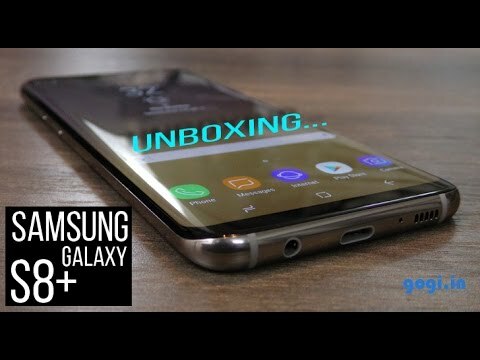 The best flagship in the market, Galaxy S8 Plus is truly an amazing phone. The camera is great, the face recognition feature is reliable and the overall performance is smooth. The Galaxy S8 Plus is an amazing phone, most notably amazing camera and a gorgeous display better than all the iPhone’s I have previously owned. Stunning design and camera is reliable in any light, Great software experience, it’s a masterclass in engineering and performance and comfortably the finest big smartphone you can buy right now. It supports both fast as well as wireless charging which is a life saver for me. If you are going to spend your hard earned money on a mobile device, then this is it. Don&apos;t look anywhere else. Overall, a very good phone from Samsung and it is really premium. Everything is great from performance to display to camera. I got this phone for 30k from the Samsung Shop. the best phone I&apos;ve ever used. The build quality is very premium, I mean the phone looks otherworldly in the hand. The wireless charging is something which I am very excited to use. Also, the one UI is very fine tweaked. The best investment I&apos;ve ever made. 5 Pricebaba users have written their experience with Samsung Galaxy S8 Plus 128GB. If you own Samsung Galaxy S8 Plus 128GB, please do leave your feedback too. Lowest price of Samsung Galaxy S8 Plus 128GB price in India starts at Rs. 61,500 Samsung Galaxy S8 Plus 128GB is available on Flipkart at Rs. 61,500. Prices updated on 25th April 2019.